Download the latest available drivers and install them on the computer. 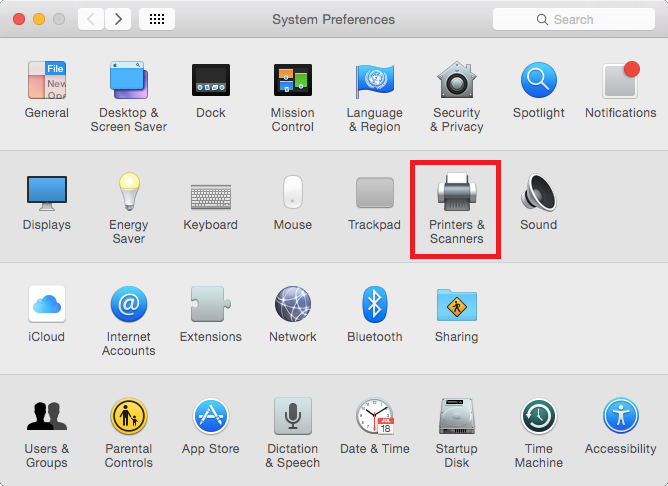 Open System Preferences and click 'Printers and Scanners'. 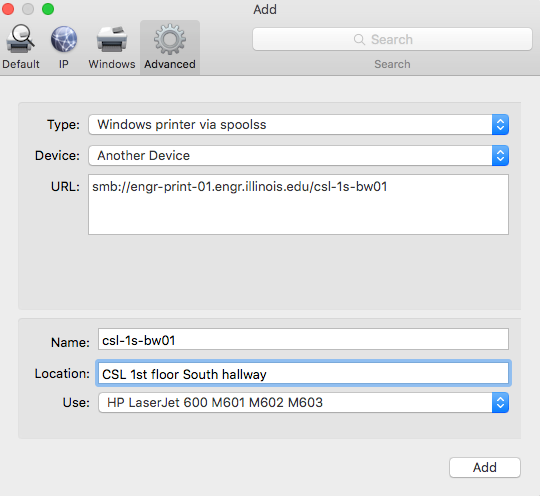 Click the small '+' symbol in the lower left corner of the window to add a printer. Select the 'Advanced' tab. Fill out the fields as shown, and then click the 'Add' button. Use: this is the driver that will be used. 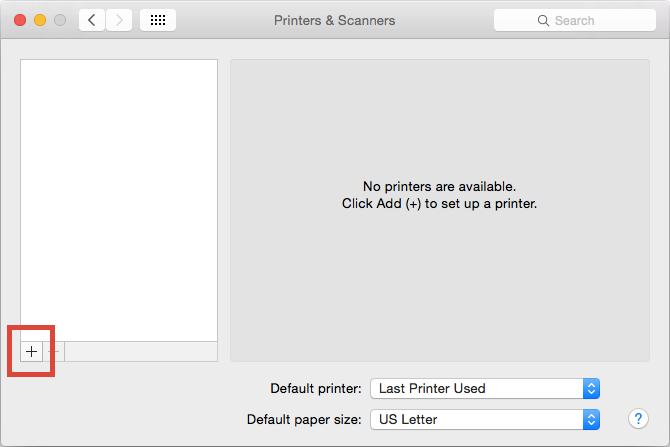 If this field does not auto-populate with the correct printer model, you may need to select it yourself, or you may need to download the correct drivers from the Apple website first. The HP LaserJet 600 M602 printers support duplexing (printing on both sides). You may be prompted to configure the driver for duplexing during installation.